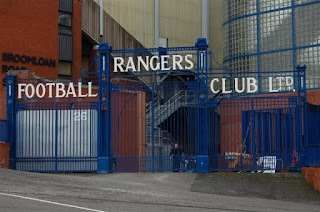 Rangers’ January transfer window has slowed somewhat in the past week following a stunning flurry of early-year signings. After a mad slew of signings saw Steven Davis, Jermain Defoe, Glen Kamara and Jordan Jones all sign deals of one nature or another, actual action has been replaced by speculation in recent times. However, one story yesterday really caught our attention, and would be unprecedented in the modern game if it’s true. According to a national red top, if Nottingham Forest’s Martin O’Neill decides he does want on-loan stopper Joe Worrall back this month, Forest will in fact have to pay Rangers a release clause for him. Let’s just repeat that – in plain English, if Forest want their own player back, they have to pay for him. If this is accurate, and let’s face it tabloids don’t always get it right (! ), it’s a stunningly smart move from Rangers’ deal-makers who originally secured Worrall – an astounding insurance policy, showing just how highly Steven Gerrard rates the 21-year old. And to make matters even more interesting, speculation is now rife that Worrall has dramatically changed his mind about going home – after confirming he was a Forest player and they were his priority, effectively, Worrall is now said to be more keen on staying at Ibrox and winning 55, or at least pushing for it. So, not only would Martin O’Neill have to fork cash out for Worrall, you know, his own player, but his own player now would be reluctant to return despite being a Nottingham boy and a supporter of the club. It’s just yet another twist in a very intriguing transfer window which delivered a lot earlier this month, and is now simmering, rife with rumours and ‘work in progress’. As for our preference at the site? Worrall hasn’t done it enough overall at Ibrox for us to be satisfied he truly wants to be here, but when he has delivered he’s been as good as anyone. We are also concerned that Steven Gerrard is playing another team’s 21-year old stopper over the one he paid money for (more on that later). Tbh, I'm not too bothered if he goes, he can be replaced. Although for consistency it's maybe slightly better that we keep him, rather than try to get another CB up to speed. However, part of me also wants to keep him just to get it up "Blessed Martin"
Worrall played really well in the last 2 matches and looked to me like a player that had the club at heart. If he goes he will do so with my best wishes and I think he can become a very decent player.